Just a quick glance of Troy Lennerd’s music output reveals a 21st century composer who sees audiences and music listeners not as a sign of artistic weakness, of surrendering to temptations of commercialization but as a worthwhile instrument for making accessible music that is as significant as any abstract avant-garde exploration of new sounds. The guitar solo in ‘Su Sonrisa,’ inspired by a woman’s smiling presence he encountered when he stayed in a Spanish town that is at the heart of Flamenco music, doesn’t necessarily evoke the famous idiom but it does express a sense of joyful energy that one might find at a warm late-night tapas meal. The eight short pieces comprising his ‘Miniatures for String Quartet’ feature a musical palette of rhythmic and melodic textures and contours that show a range of contrapuntal and expressive capabilities of four string ensemble players. Likewise, his ‘Unaccompanied Piece for Solo Cello’ explores the instrument’s range with tonal and atonal harmonies, a definitive example of how the 21st century musical language easily accommodates consonance and dissonance in structures that arise more freely than in previous strictly determined expectations. In Utah spanning 30 years from the time he started composing in his teens, Lennerd has cultivated a notable career as an independent composer who also is a classical and jazz guitarist, instructor and music engraver. Indeed, in a country where only 2,530 composers identify with similar creative careers as independent artists – according to U.S. Bureau of Labor Statistics – Lennerd enjoys a reputation that stretches to every continent of the globe. 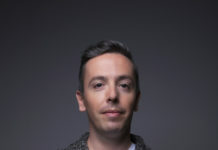 Along with awards from The American Music Center, The American Society of Composers, Authors and Publishers (ASCAP) Plus Award program and the Composers Guild Contest, he has been commissioned to write music for modern dance, solo and chamber musicians, and film. Most recently, he was commissioned to write new works for string quartet and a solo instrument of his choice, courtesy of a private patron from the East Coast who currently chooses to be anonymous. Lennerd’s formative musical life echoes the egalitarian approach many successful musicians work by, seeing value in every type of musical approach, idiom, technique and genre. Starting as a piano student, he switched to guitar before his teenage years, and enjoyed influences in electric, rock and classical music. At 13, he started writing music. “I became obsessed with it,” he recalls. “My influences were many and they included Led Zeppelin, Dire Straits, AC/DC, Pink Floyd and others. From classical, this included Beethoven, Bach, Mozart and Chopin.” He studied and absorbed the technique of master guitarists such as Joe Satriani and Stevie Ray Vaughan. Troy Lennerd Nielsen, his performance name. “When I was 17, I was listening to jazz on public radio and I was intrigued by the bassist. ‘What the hell was he doing,’ I thought to myself,” Lennerd says. He went to The University of Utah where he started in electrical engineering and along with his science and math courses he took guitar classes. During his sophomore year, he fueled his newly discovered interest in jazz by taking a composition class along with a music history class that proved to change his academic studies permanently. Lennerd was discovering the new music of many 20th century composers, including, of course, Pierre Boulez, Bela Bartok, Igor Stravinsky and others. Lennerd’s willingness to be open to all things musically possible took shape early. In the 1970s and certainly by the mid-1980s, many musicians who had trained their ears on so many different types of new music and forms already had accepted and welcomed the premise that unlike earlier eras, there was no one or two musical languages that seemed to dominate the composing scene. In many ways, musicians were – and are certainly, today – comfortable with the artistic coexistence of tonality and atonality, of strictly determined form and Cage’s ideas of randomness and chance that actually give music a naturally occurring and artistically satisfying shape. Whatever creative battles of aesthetic philosophy that musicians, composers, conservatories and music academies had fought for much of the 20th century, the aftermath has produced a surprisingly fertile ground for writing new music that is engaging the audience in how it can represent readily identifiable emotions of contemporary culture and society. The music certainly is not sentimental or pastiche, despite what early critics might have said to propel their warnings or hesitations. It reflects honestly the character of today’s cosmopolitanism and the artist’s willingness to be as sincerely egalitarian as possible. Lennerd says he learned early on to trust his best instincts. “I was blown away by music so beyond what I previously fathomed to think music could be,” he recalls. He lost interest in jazz and redirected his focus toward contemporary classical music. “I was drawn to logical structures and how they grew and transformed models much in the same way Beethoven and Bartok approached their composing, by introducing a new expressive form step by step,” he explains. A sample sketch page from a composition by Troy Lennerd. Moving from jazz to classical music in terms of his compositional focus, Lennerd took to heart the dramatic depths of works by György Ligeti who moved toward using complex rhythmic expressions while relying more heavily on consonant harmonic structures that flexed with displaced the small intervals of major and minor triads that effectively hollowed out the sound and enhanced the sonic magnitudes of his work. Likewise, he values Bohuslav Martinu, a neoclassical Czech composer whose ethnomusicological profile matches that of Bartok and fellow Hungarian composer Zoltan Kodaly. Similarly, Lennerd was influenced by Krzysztof Penderecki who eventually replaced his avant garde origins with music that appealed to contemporary audiences with a post-Romantic character that was enlivened not by dense tonal clusters but by his compositional skill to reveal the expressive depths of tritones and semitones. 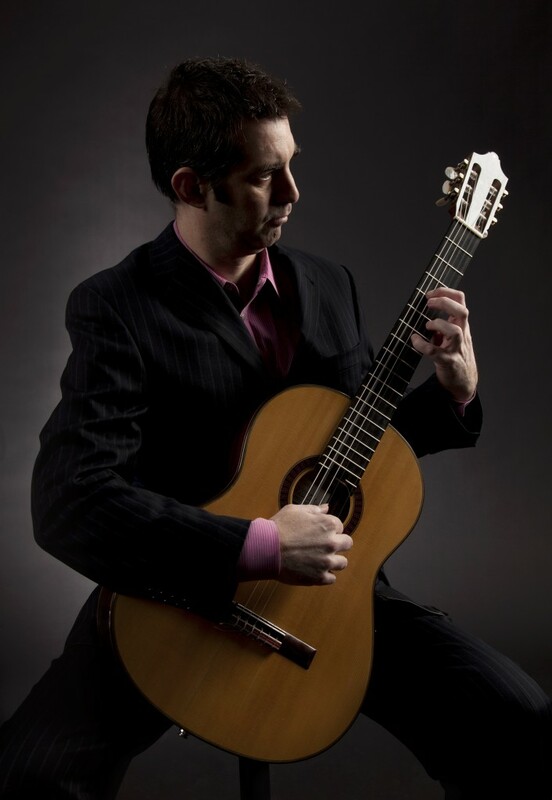 Lennerd’s work may start off as a tip of the musical hat to an immensely successful 20th century composer such as Heitor Villa-Lobos in his ‘Rhapsody for Solo Guitar,’ which also pays homage to Francisco Tárrega’s ‘Arabian Capriccio,’ one of the warhorses in the great classical guitar repertoire. Lennerd, however, inflects the distinct tonal musical language in the work with open strings and which sets the stage to gradually mold and transform the work’s fundamental melodic line even while it effectively suggests the repetition of the composition’s thematic material. In other instances, Lennerd goes for pure musical emotional depth via direct geographical experience. ‘Las Olas De Trafalgar’ wonderfully captures in music Lennerd’s memory of a beach in the southern Spanish coastal town of Roche along with the nearby La Torre del Puerco lighthouse. The work’s title references the geographical proximity of the Battle of Trafalgar which occurred two centuries earlier, just to the southeast of this coastal resort. Yet as the music’s structure is so elegantly refined, the melodic and rhythmic language elements bloom naturally with no exertion whatsoever. 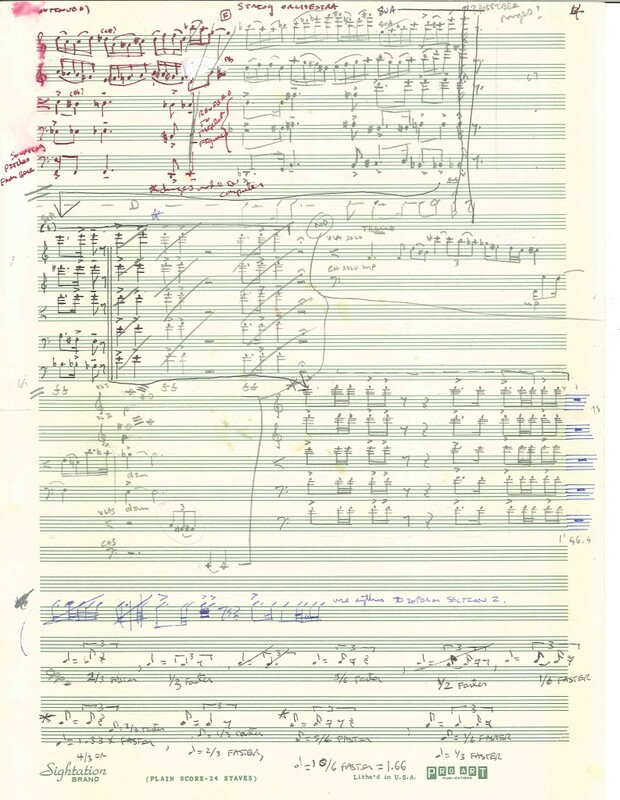 His ‘Fantasia for Piano,’ as mentioned above, reminds one of Arvo Part’s skills of building small harmonic shifts into an organic musical assembly line mechanism that produces harmonic threads of modulations through major and minor chords and which ultimately serve to open up a huge sonic space appropriate to the music’s inspirational imagery. 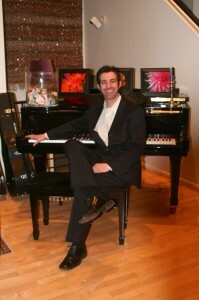 Lennerd earned his bachelor’s degree in music composition and jazz guitar performance from The University of Utah. His teachers included Todd Woodbury for classical and Don Ayers, director of guitar studies at the school, for electrical. 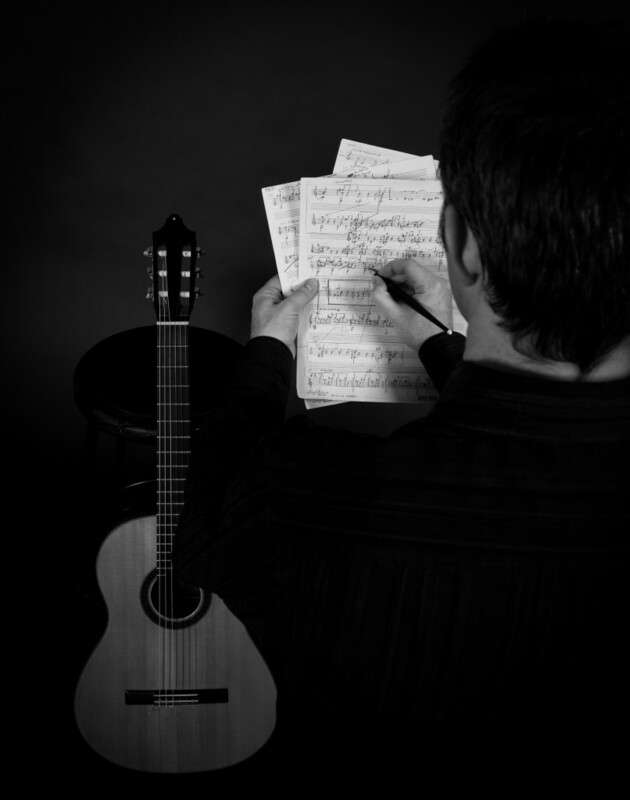 Lennerd supplements his composing by teaching all styles of guitar performance in private lessons. 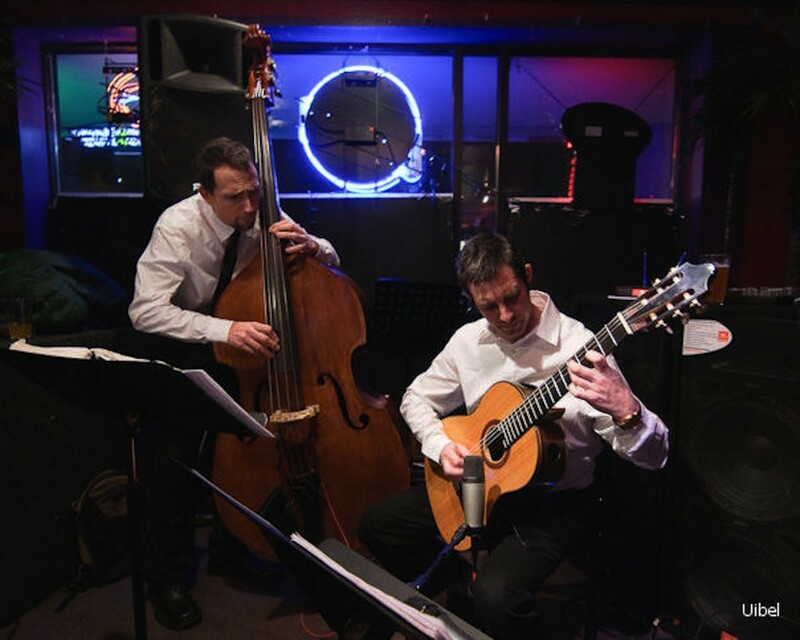 He also has played in many rock music projects and has been producing classical demo clips and final recordings of modern and traditional classical guitar repertoire. 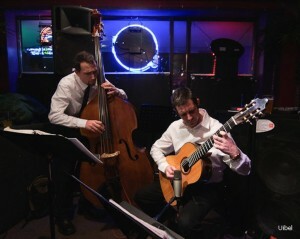 In addition, he has played master classes with Scott Tennant of the Los Angeles Guitar Quartet, Benjamin Verdery of Yale University, Adair Assad of the Assad Brothers Guitar Duo and Christopher Parkening, one of the best known classical guitarists who directs the guitar performance program at Pepperdine University. He’s studied with many composers including Stan Funicelli, Tully Cathy, Henry Wolking, Tracy Peterson, Morris Rosenzweig and Steve Roens and also has attended master classes with Samuel Adler, Martin Boykan, Roy Harbison and Harvey Sollberger. Troy Lennerd Nielsen in performance. He also doesn’t start with a strict sense of what the meter will be in the music’s final draft. “I prefer to use a multimetric approach making out where I want the strong beats in the music. Then, I’ll work out the details once the sketch is completed,” he says. As he edits his sketches, Lennerd might box off a musical idea that doesn’t seem right for the composition. Thus, he compiles an ever-growing book of music compositional ideas. For example, the unaccompanied piece for cello came from a sketch not originally intended for the instrument but was originally just a free-formed idea. 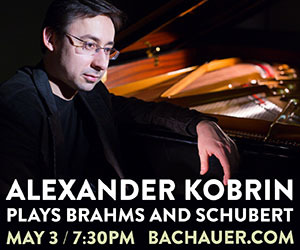 He is a member of ASCAP, The Society of Composers (SCI), The American Music Center and DCM Contemporary Music Forum. Lennerd also is a music engraver and copyist who has provided services for The University of Utah, Ricklen Nobis, Carlton Vickers and other notable music studios and musicians. His music is published by LenMuse Music and Great River Books. Next articleRainy Days in Park City? Plenty To Do!